Groundbreaking dynamic handheld mic with dual-diaphragm technology. 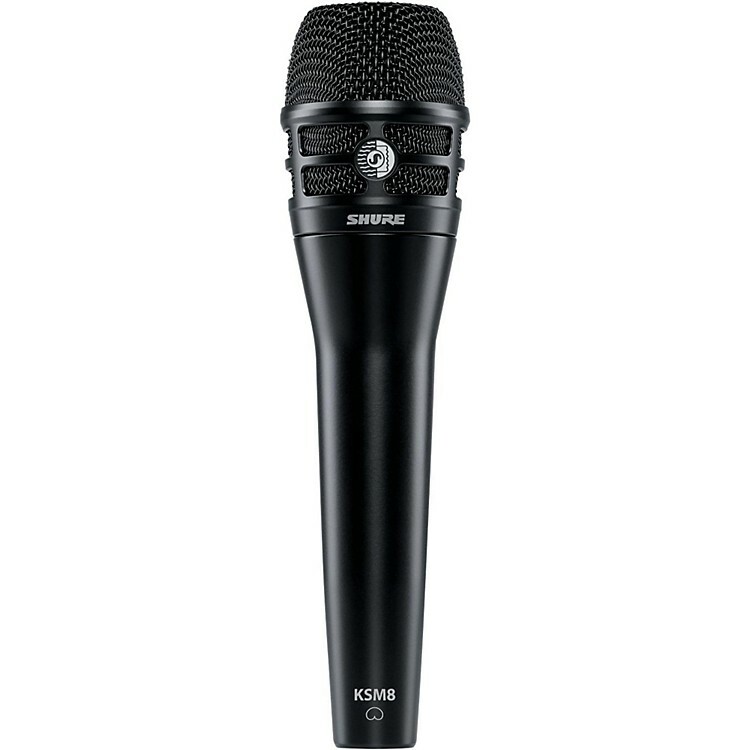 As the first-ever dual-diaphragm dynamic handheld microphone, the premium KSM8 Dualdyne Cardioid Vocal Dynamic Microphone is a groundbreaking feat of engineering design. Meticulously crafted for revolutionary vocal reproduction and sound-reinforcement control for world-class live performance in top-tier professional venues. Featuring the single purest cardioid polar pattern that Shure has developed to date, the patented Dualdyne cartridge of the KSM8 virtually eliminates proximity effect and masters off-axis rejection while providing sound professionals the signal clarity typical of condenser microphones without processing, along with the reliability of dynamic microphone feedback control. The live performance dynamic microphone that only Shure could make.